An iconic New Forest bird species has been recorded at Barton Common in New Milton for the first time in more than 10 years. The rare Dartford warbler, which is on the IUCN Red List of Threatened Species, has been recorded at the common for the first time since August 2004 by local expert Keith Betton. The New Forest is a UK stronghold for the heathland bird, which nearly died out in this country 50 years ago. Barton Common is owned by New Milton Town Council, which, with the support of the New Forest Land Advice Service and Natural England, has recently reintroduced grazing ponies to the site in order to improve habitats for plants and wildlife. This includes the Dartford warbler, a long-tailed warbler, resident in the UK, which has suffered in the past from cold winters. In the 1960s the population declined to just a few pairs, and although it has gradually recovered it is still considered to be threatened. 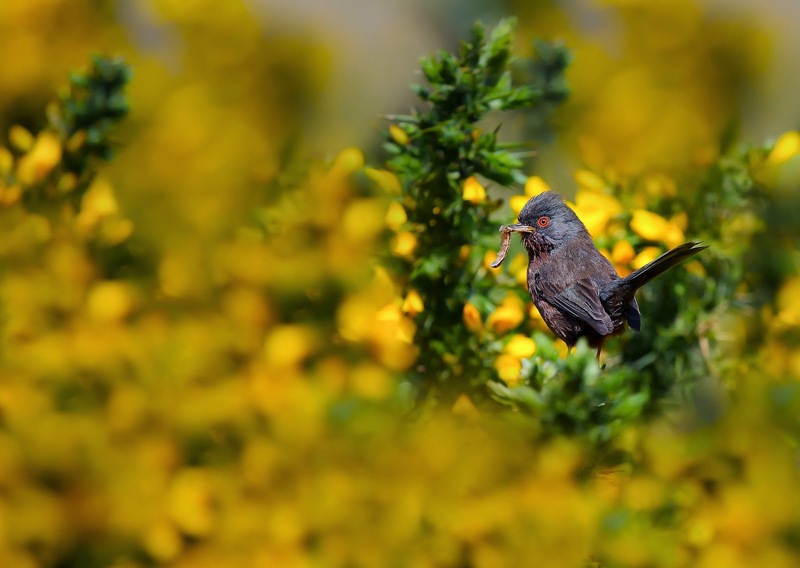 Dartford warblers nest in dense gorse bushes, which occur in heathland and scrubland sites that are well-managed, and feed on caterpillars, beetles and spiders. Keith Betton, County Recorder for the Hampshire Ornithological Society, said: ‘It’s always exciting when a rare bird is recorded in a new location, so I was pleased to hear the distinctive call of the Dartford warbler at Barton Common. I have talked to other local birdwatchers who visit the area and they are as excited as I am. The only previous sighting was in 2004, despite the fact that they are relatively widespread on the New Forest heaths. Geoffrey Blunden, New Milton Town Councillor, said: ‘We have been working with the Land Advice Service for several years to change the way the common is managed, fulfilling the Town Council’s obligation to ensure this important site is looked after in the best possible way for the enjoyment of all. ‘I am pleased the scrub clearance and reintroduction of grazing stock is already helping to return the common to its former glory. One of the aims of these changes is to improve the site as a habitat for many types of plants and wildlife, so to hear Dartford warbler on the common is a real joy. The New Forest Land Advice Service is funded by the New Forest National Park Authority, Hampshire and Isle of Wight Wildlife Trust, and the Verderers. The grazing schemes in New Milton, which includes Barton Common, are part of the Town Council’s Higher Level Stewardship scheme, which provides financial support to assist with management of their important wildlife sites.